So, with my friends over at Stamp Nation, I am participating in a weekend long event for World Card Making Day, which is actually tomorrow October 3. Stamp Nation however wanting to include everyone in the world began at 8am EST this morning which was Midnight somewhere in the world, And this will continue until 8am EST on Sunday where it will turn to Oct 4 for the last time. Yes love the time zones :) Through out this weekend each challenge will Celebrate a different Country in the world and something popular there. Anyway, Day 1 and the first challenge was to use the idea/patterns of a bandana as a theme. Celebrating the good ole USA. 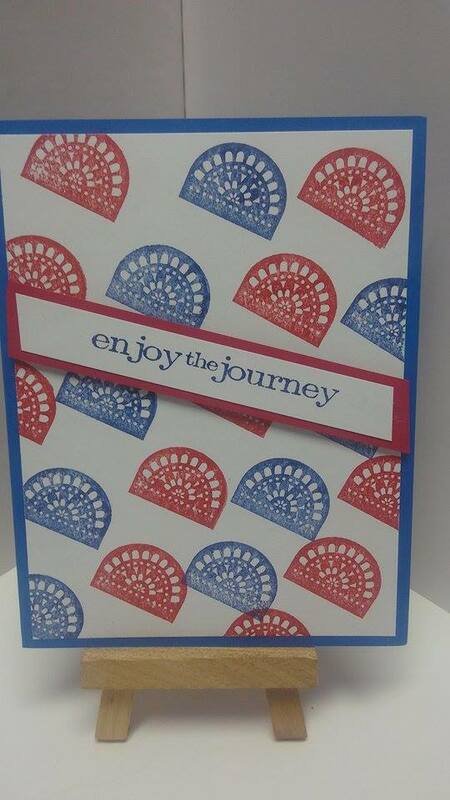 Using a stamp from Amuse Studio and Red/Navy ink I created this background on white Neenah cardstock. 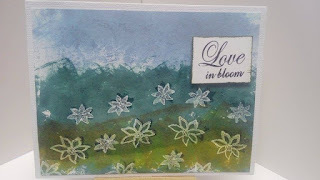 The sentiment is using Amuse Navy with a Tim Holtz stamp. This is going to be a "Journey" filled weekend. Number two took us to Canada and the Hudson Bay Blanket was the inspiration piece. 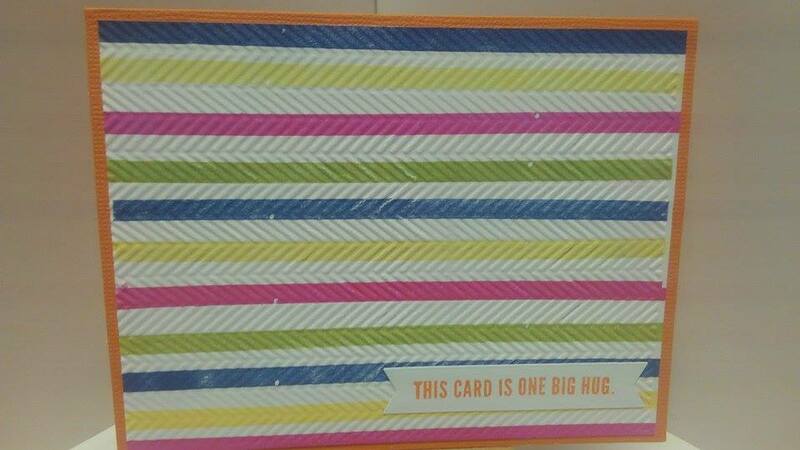 If you notice the texture on the card you will see it is similar to that of the blanket. The stamps used are from Simon Says Stamp, and the ink colors are all from Amuse Studio. I used a Cuttlebug embossing folder to add the texture. Stop number three was Switzerland and the Alps, where the hills are alive with Edelweiss in full bloom. The background was made completely with Tim Holtz Distress Inks and the sentiment is from a stamp set that I unfortunately have no idea what it is called, or who made it. 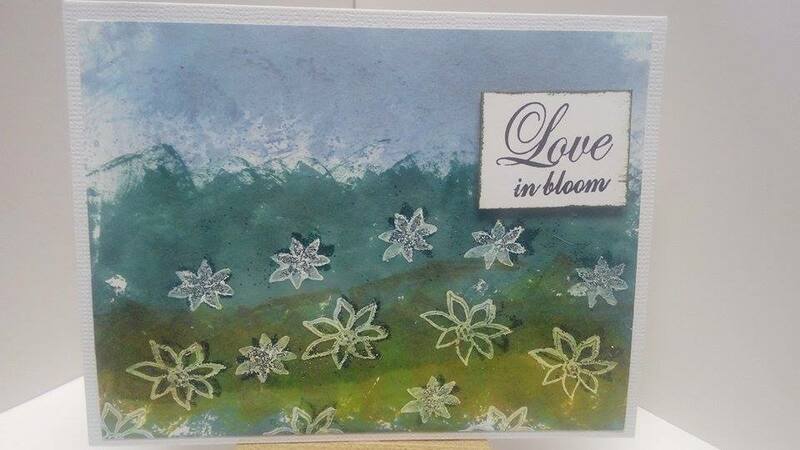 I did heat embossing on the flowers, which came from a stamp set purchased from Oriental Trading. Stop number four is Scotland. 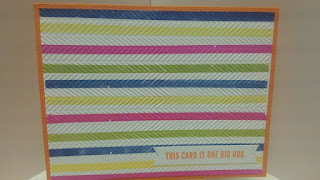 We were asked to use plaid on our card, so here we are. American Crafts patterned paper from the "Hot Cocoa" 12x12 pack. Black card stock for the Scottie and speech bubble are from Co'ordinations. 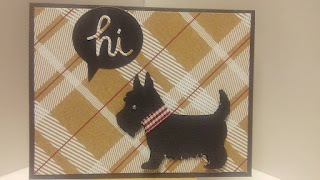 The Scottie is an image cut with my Cameo, the speech bubble is from WRMK Quickutz and the hi is from AMuse Studios.